July 21, 2017 – Freedom For Humanity! Can you believe that you are over half way through the present year. If ever you needed proof of the special times you are now in you need look no further. Changes are likely to come thick and fast that will propel you into the New Age, so that you can enjoy the advantages and benefits to be gained. Nothing will stop them coming into being and as you must know by now, the ultimate is to reach the point when Ascension will occur. We see the whole picture as all is in the “Now” and can assure you that all proceeds well and in accordance with the plan set by great Beings who monitor and follow your progress. Some souls will not be ready to ascend and that is to be expected, and their path is also planned to ensure they continue to evolve. It is one that meets their needs and enables them to continue evolving. All of you at some stages in your evolution are guided by Higher Beings, who are dedicated to their work that will not cease until all of the Human Race has ascended. You are at a time in the new cycle when it is being established, which is why many of you seem to be getting nowhere fast. The turmoil and upsets experienced are all part of the changes that are getting rid of the old so that it can move forward into the higher vibrations. You have one foot in the 3rd dimension and the other one in the 4th dimension and before long both will be in the higher 4th dimension, and all of the problems associated with the lower vibrations will have been left behind. It is a slow but positive transition that requires no action on your part beyond doing all you can to maintain a high level of vibration. That requires a dedicated approach to your actions to ensure that you are positive in all of them. Negativity and fear will only pull your vibrations down so you must endeavour to avoid getting involved in situations that may create it. Keep calm and help to raise the vibrations by keeping your own steady, and send out loving thoughts where you find discord or negativity. The truth of your history has been deliberately withheld and distorted to keep you in the control of the Illuminati. However, it is no longer possible to hold it back and it is slowly being made known to you. The history of Man is quite different to what you have been led to believe, and in the last century many archaeological findings point to a different path of evolution than the one traditionally accepted. Big establishments have been part of the cover up, and many finds that would have had a great bearing on your understanding have been hidden from you. For example in the last 100 years or so, many finds have revealed the existence of giants upon your Earth. In biblical times reference has been made to them as being very tall and having red hair, and tombs of such giants have been found in the Utah Mountains. One of the most incredible finds in the 1920’s were in a burial ground in the west of Catalina Island, when several thousand skeletons were found of a blonde haired race over 7 feet tall. They were evidently also a fair skinned race of high intelligence, and their King was 9 feet 2 inches tall. Many artefacts were also found including the remains of a megalithic “Stonehenge Era” Temple. You might ask what happened to the evidence and why is so little is known about such a discovery. There were also skeletons of 8/9 feet tall giants who ruled in America a long time ago, and from their artefacts it was obvious they were also very intelligent. 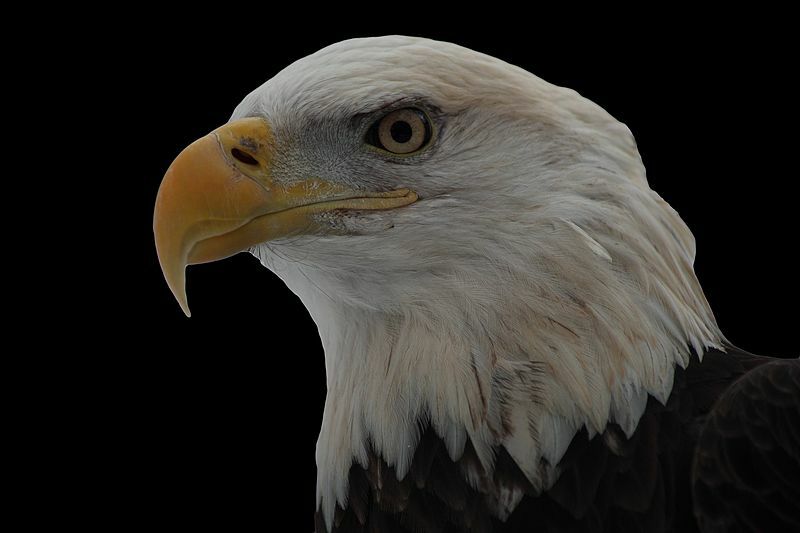 They also found a room holding the preserved remains of extinct animals such as dinosaurs, and that gives an indication of how old the remains must be. It is clear that many species of Man have existed over a very soon long period of time, and the truth of your past cannot be denied or hidden much longer. The list could go further but the point has been made regarding your “lost” history. The most remarkable conclusion has been made based upon evidence found and recorded, indicating that at one time Giants even existed that were up to 70 feet tall. Yet the skeletons were Humanlike and clearly have a place in your evolutionary chart. Even in recent times your more open and aware historians have realised that so much evidence still exists that proves the real history of Man. It is important to understand the facts of your evolution from which you will realise that you have had earlier Solar Cycles where you had reached a highly evolved stage. They ended and then another Cycle began which as it developed took you further than you had progressed previously. So now you are about to reap the rewards of having greatly advanced your evolution to a point where you have the greatest opportunity to ascend. Every effort you make to prepare for Ascension will be worth every experience you have gone through. It is a wonderful time in spite of the happenings on Earth, and bear in mind that you and Mother Earth are ascending together. A new Earth and a new you, what better way to make progress and at last leave the heavy cloying vibrations that have been a continual challenge. Yet you have persevered and will joyously claim your place in the higher vibrations, and enjoy release from the demands on you that have made life extremely difficult at times. You are nearly ready to ascend and many old friends and relations are waiting to lovingly greet you and welcome you back. You will soon forget the traumas of your recent lives on Earth, and enjoy peace and harmony that will seem like utter bliss compared to your time in the lower vibrations. As you have often been informed, no experience is wasted as each one that bears any importance on your life has been planned and enacted to give you the experiences you need to evolve. It is therefore advisable if possible to make your peace with anyone you have had problems with and sort them out. You can only do so much in this respect but having tried you can rest easily knowing that you have done your best. Look upon life experiences as though you are in a play and when the curtain comes down all involved can go back to their normal lives. After all, karma is like playacting and you keep on repeating it until you get it right. Your ego’s can be demanding but they have been built up by you and can also be brought into harmony and peace by you. If you are reading messages like this one you are clearly well on the path to Ascension, having already expanded your consciousness beyond what you may call the normal level. As time progresses it should become clear that a divide is taking place between those who are preparing themselves for Ascension, and those who have not yet lifted themselves up. It should not be assumed that sources such as this one are the only means of preparation or the only pathway, there are many people with good intentions who have their own way of expressing them. Beautiful souls can appear in any walk of life so accept those who follow a different path to you. Posted on July 21, 2017 by TheLightHasWonPosted in Channeled Messages, SpiritualityTagged Ascension, Awakening, Channeled Messages, Consciousness, Evolution, Giants, History, Humanity, Illuminati, Karma, Life Experiences, Light, Love, MikeQuinsey, New Age, Peace, The real History of Man, The Truth of Your History, Utah Mountains. 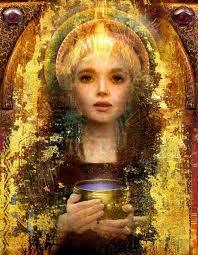 I AM Ashtar and I bring you great greetings and great tidings for so many things are shifting and changing. Not in the future, not in the days to come, but in the perfect now that you are in because you are in the now. There is nothing that is keeping you from continuing to have that perfect expression within you as you continue moving along through this transition. And yes, you are in the transition now. You are moving through the ascension process and everything is exactly as it needs to be and you are in the exact right place that you need to be because you are in a position to bring about all that you came to do. All of you came here, all of you volunteered as you have heard many times in the Clarion Call. 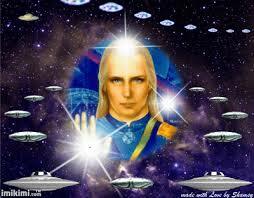 Many of you came in the ships, even within the ships of the Ashtar Command. 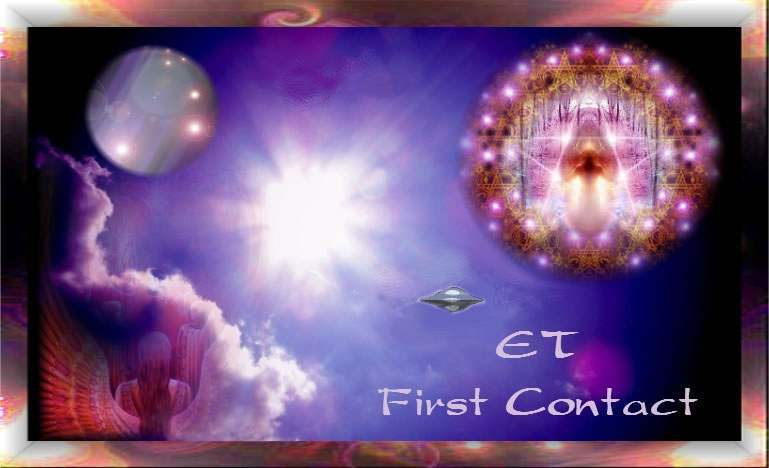 Many of you are commanders within the Ashtar Command — the other aspects of you which you will be reuniting with when those moments come, when the frequency has risen. For all is exactly as it needs to be and all is being orchestrated. Do not forget that, even for a moment, as you continue to deal with various aches and pains and symptoms that arise as these frequencies continue to rise and in your heavier, dense 3D body it is difficult to move in these higher vibrations. Just as if you were to suddenly appear on one of our ships in your 3-D body you would be feeling such a weighted down in these higher vibrations you would not be able to withstand it. For there needs to be an acclimating process that occurs to be able to move into these vibrations, into these higher vibrations. Even when we ourselves would come down and visit with you we need to lower our vibration which we are not apt to do very often. And when you have risen to the higher vibrations you will understand why. Many of you will feel like you have fought through all of this and once you arrive at that destination of the higher vibration in the 5th Dimension and beyond you would think, why would I want to come back. But you have also heard from Sananda especially that many of you will come back; many of you will return to help those that are still struggling behind. Because many of them cannot help it but struggle for they do not know what you know, they do not yet remember what you are beginning to remember. My dear friends you are beginning to remember. All of you. Open yourselves up to all that is there for you. Open yourselves up to the veil within you dropping rapidly. And the more you become aware of that veil dropping the more it will drop. But you must trust. You must believe. You heard from one of our dear brothers not too long ago, I will mention his name, Moses. He spoke of the ‘marching orders’; that you have been given your marching orders. Yes that is true …. But not ‘orders’. We do not give orders. We give suggestions, we give requests. We ask that you be ready now. We ask that you be ready to move ahead to move along within your own personal consciousness but also to be ready to assist others. This is your calling. This is your mission, many of you. Many of you have already heard that call, have awakened to that call, and have already begun to awaken others as much as you can. So I tell you now is the time. Do all that you can to assist others, to help others to awaken at whatever level that they are at. Just as when you first awakened you had no idea of much of this that we speak of now. That now you hear these things and you have heard them many times before but that is purposeful on our part that we repeat things over and over and over because it is difficult to get through that veil that is there for you still, all of the programming that you have had to deal with. But we do our part to pierce this programming to pierce the veil but it is now up to you to continue to let that veil drop so that you are ready for the next steps when they are given to you. Those next steps are what you might call right around the corner. So close that you can reach out and touch them. We are so close to you now that we can whisper in your ears. If you’re quiet enough you will hear us. I AM Ashtar. I love you deeply, more than you can all understand at this point. Continue now to trust in each other, in yourselves. Know that the truth will very soon be revealed in many aspects. Posted on July 21, 2017 by TheLightHasWonPosted in Channeled Messages, Spirituality, UncategorizedTagged Ascension Process, Ashtar, Awakening, Channeled Messages, Enlightenment, Light, Love, Peace. I am Sarah and it is an honor for me to be able to walk with you on Earth today. I have followed you during a long period of time and I have walked many moons with you here on Earth. It has been many lives with both more difficult and easier experiences. I feel your sorrow and your joy. It is hard to see the whole picture when earlier experiences have been closed off. It is hard to walk a different path than the one society offers. Those that have tried have often paid with their lives. Yes, it has not been easy to wake up dear people on Earth, but now when the light shines with such force and intensity you are getting the help you need to see reality the way it really is. We are all now going back to what we originally were with more and deeper experiences of us self and the games we played. Nobody can live in separation. It is only divisive and frustrating. It is together that we are strong and I think we all understand this now. We can see that the winds of change are blowing now, when we are together and work side by side. It is when many come together and work for the same thing that a large change occurs. The more that wake up and help to embrace the new Earth with light and love the bigger changes can be discerned in the physical plane. This is what is happening now dear people on Earth. You are many that want to see a brighter future for your selves and your children – than the one you have just left. Yes, you have left the third dimensional Earth. As soon as you have woken up and understood your calling you have left the old Earth and your new focus is the new Earth of light and love. This is the one you want to give your energy to and it is the one you wonder how you best can help, so that things we will be as good as possible for all who live there. You want to construct a better world for you and your children and this is what you do as soon as the thought and the feeling arrives, as you are strong in spirit dear children. You are strong in spirit and thought. Believe in yourselves for we believe in you. We see with great enthusiasm and joy at what is happening on Earth today. A great shift has taken place with focus on what is light and loving. There are many people that now have taken the initiative to improve the conditions for people and animals a bit all around on the planet. They receive all the time help and support from other people that have woken up and want to help improve conditions for all who live on our Earth. It is a great task they have taken on and they are all equally loved and honored for the work they do. All people who hold the light in their hearts are doing great work on Earth, as without the light the dark would soon take over. The light is spreading to more and more that wake up and in turn spread their light. It becomes a wave movement of light that is lit and we can see how it billows of light on Earth today. It is a fantastic view and Our Earth is proudly and majestically sailing on out in the Universe, and in to the regions of higher light that she has decided to return to. The Universe is cheering her on and gives all the support it can in this very beautiful and unique transformation. Posted on July 21, 2017 by TheLightHasWonPosted in Channeled Messages, SpiritualityTagged Ascension, Awakening, Channeled Messages, Enlightenment, Light, Love, Peace, Sarah. Posted on July 21, 2017 by TheLightHasWonPosted in Entertainment, Life - LifeStyle, Spirituality, UnderhållningTagged 528 Hz, DNA Repair, Healing, Meditation, Music, Solfeggio Frequency, St. John the Baptist. Posted on July 21, 2017 by TheLightHasWonPosted in Entertainment, Life - LifeStyle, Spirituality, UnderhållningTagged Dream Music, Emotional Healing, Healing, Healing Energy, Inner Peace, Light, Love, Music, Peace, Physical Healing, Solfeggio Frequencies, SoulMusic, Stress Relieving. Posted on July 21, 2017 July 21, 2017 by TheLightHasWonPosted in Entertainment, Life - LifeStyle, Spirituality, UnderhållningTagged Consciousness, Dream Music, Emotional Healing, Healing, Healing Energy, Inner Peace, Light, Love, Music, Peace, Physical Healing, Solfeggio Frequencies, SoulMusic, Stress Relieving.